TapSnap is partnering with Animal AWARE to raise awareness of the organization’s work in eliminating animal abuse, as well as providing care and finding homes for abandoned and abused pets. 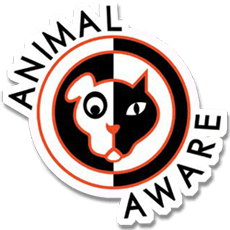 Animal AWARE is a non-profit organization based in Guatemala; it is the largest canine and feline shelter in Central America and is completely funded by donations and modest fees for service. Members of the TapSnap team will be visiting the shelter to take and share pictures of more than 300 animals during the association’s Take Me Home donate, sponsor, and adopt drive on Saturday, February 28. "We’re all animal lovers at TapSnap. Our corporate team members bring their dogs to work; five of them happen to be rescue dogs,” says Scott McInnes, TapSnap CEO and owner of two rescue dogs, Doogie and Ziggy, and a rescue cat named Rhomba. “Animal AWARE is a great organization that we’re proud to partner with and help in whatever way we can.” In addition to raising awareness with photos, the TapSnap team will be raising funds for Animal AWARE that will be used towards covering a portion of animal shipping costs. UPDATE! Joining TapSnap, Purina Guatemala has generously offered their support for this initiative donating dog food to Animal AWARE. Visit Animal AWARE on Facebook on February 28 and share their photo album to help spread the word about this worthwhile charity and their pets in need of a new home. Make a donation to Animal AWARE. Contribute to the cost for vaccinations, animal care, and more. Donations from the United States are 100% tax deductible. Sponsor a dog or cat. If you can’t have a pet, you can sponsor an animal and contribute to their food, care, and medical costs. You will receive a certificate of sponsorship as well as occasional updates about your animal. Adopt a pet. If you’re looking for an animal to adopt, consider adopting from Animal AWARE. Adoptions are open to individuals and families in Central America and the United States. If you’re going to be in Guatemala, you can contact Animal AWARE to schedule a shelter visit.